B.I.G. Booths – Guard Shacks Improve the Security of Crowd and Safety for Pedestrians | BIG Enterprises Inc. Since the rise of terrorist groups like ISIS and Al Qaeda, public spaces have become dangerously vulnerable to the threat of terrorist attacks, particularly because these groups instruct their members specifically on how to target public areas that everyday citizens frequent on a daily basis. According to law enforcement, between 2016-2017 a whopping 724 people were killed by vehicular terrorist attacks alone. The scary part is that those numbers don’t even begin to account for the amount of people injured in these kind of events, nor for those killed or injured in crowd incidents involving negligent driving. The reality is that most of these deaths and injuries could have easily been prevented or minimized through the use of on-site portable guard booths. The unique threat that large vehicle attacks present to city planners who are responsible not only for building urban areas to be less vulnerable to crime, but for ensuring that there are enough guard shack enclosures present to monitor public spaces. Those types of spaces, like public squares or busy pedestrian walkways that regularly attract large crowds, are particularly vulnerable to intentional vehicular attack. An extra portable guard booth should always be on hand to ensure that adequate security is accounted for in situations where unusually large crowds might be prone to periodically gather in one space, like in the context of a concert, open market, or even a protest, to name just a few examples. 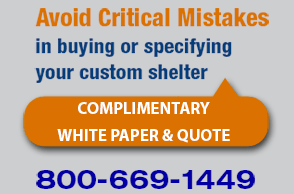 However, guard shack enclosures will also provide additional security in the event of accidental vehicular negligence, which has become increasingly prevalent with widespread cell phone usage. Portable guard shacks help ensure that city planners are in a position where they are adaptable to meet the needs of crowd safety in any event. The visible presence of a portable guard booth in any public area means that pedestrians can report erratic driving or any other type of suspicious activity directly to the security officer on duty, who is then in a position to safely neutralize the situation before it occurs. If the safety threat occurs in a crowded environment, if onlookers are forced to wait for emergency personnel to arrive on the scene, there is a high likelihood that it will already be too late by the time they arrive. This is why it is so important for city planners to take a proactive approach in providing enough guard shack enclosures to keep a crowd safe and secure in any occasion. B.I.G. Booth Enterprises provides the highest quality state-of-the-art guard shacks and portable guard shacks designed specifically to meet the needs of urban planners in addressing crowd and pedestrian security. We understand that the security needs of crowd control are diverse and varied, and as such we can design a portable guard booth for any occasion.